Are Web Directories Still Relevant in 2017? 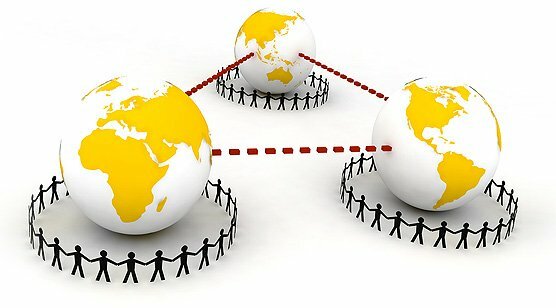 As we all know, search engines play a major role in the e-business world. The clear majority of users use them to search for information, things they are interested in, gather data while business owners use them to climb to the top, to keep track of the competition and more. 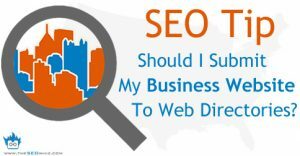 While the role of search engines is widely known, web directories have a share of the online business marketing plan pie, but unlike search engines, they have a narrowed and organized path. 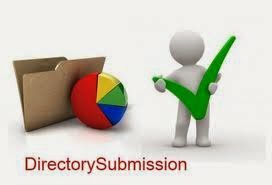 A web directory can serve as a one-stop-shop for all the information a client needs because they are organized in categories ranging from shopping to reference, sports, recreation, and finance all under the same roof. To begin with, at the very beginning of the Internet, web directories were the only categorized sources of information. Their real purpose remained the same over the years (and I’m talking about reputable directories not all those spam “list everything” directories) even if they used to be a part of many business marketing plans. Obviously, website owners were happy to get another link while web directory owners were happy to cash in some extra cash. But that’s not the case for some directories I’d like to talk about in this article. One of the most reputable, if not the most reputable, web directories, DMOZ, was shut down in March 2017, following Yahoo Directory’s closure (December, 2014). However, there are still online directory sites worth a look. often tends to favor web directories that list top notch websites, strictly reviewed suggested resources. These directories usually have solid guidelines. When looking for a reliable Google compliant web directory, there are a few dos and don’ts that should be adhered to. Always pick quality over everything else. This helps filter out and determine the proficiency of a web directory and their level of editorial discretion. Go for a web directory that rejects some submissions. Once again, the editorial discretion of a website will tell you a lot about their general standards. Use online tools and plug-ins to measure the quality of various directories. The MOZ bar is by far the best and is available as an add-on on both Chrome and Mozilla browsers. Do not go for a web directory simply because it is old or free. Their age does not necessarily vouch for their worthiness or legitimacy for that fact. Stay away from directories that allow the use of superlatives and marketing or promotional text. These include “best”, “leading”, “number one” etc. Objective content and a high editorial discretion is often the mark of a good web directory. That being said, as I already mentioned, there are still a few web directories out there that are Google compliant (aka. applying a high editorial discretion) and on various webmaster forums, some claim they had ranking improvements by having their websites listed in them. Perhaps the only reason DMOZ stood higher than other web directories was that of its massive size and it’s very high editorial discretion, much like the defunct Yahoo Directory. Best of the Web was created in 1994. The directory has a vast selection of categories to choose from, ranging from science to sports, kids and teens, health, society, shopping, and games just to mention a few. It also features a site-wide search functionality for easy navigation as well as a blog and a special directory for UK based local businesses. A business owner may choose a yearly plan ($150) or a one-time fee payment ($250). Inclusion is not guaranteed. Users may modify their already accepted listing. Business.com is a huge company focused on information regarding businesses, obviously. It’s not necessarily a web directory however, users can opt for several types of advertisements. The suggestion fee for a listing is $299/year. Inclusion is not guaranteed. Jasmine Directory takes home the trophy when it comes to aesthetic design and editorial discretion. Appearances aside, the web directory is very intuitive. Although effective on its own, this is further supplemented by the accurate use of cross-links. The directory, established in 2009, and it was awarded several times by Ken Anderson a former DMOZ meta editor. The review fee is $59/$79. Users may modify their already accepted listing, however, each modification is reviewed by an editor before making it live. Aviva Directory is another long-time runner. Its taxonomy is well thought out and nicely crafted. Sites are listed under appropriate categories and Aviva has done well to provide a significant amount of relevant categories. Aviva is a well-maintained directory and you will be hard-pressed to find any dead links or empty categories. The standard charges are $45.95 per year while the Express charges are a one-time fee of $149.95. It also features a blog with industry-specific information. DIR Journal features an incredible huge taxonomy that comprises of well thought out category names and a good use of cross-links above and below the line features. Save for the regional tree: all the categories have been informatively described. The directory carries enough content to prove itself useful. Overall, this web directory deserves a spot on the podium as one of the best in the Web Directory industry. It is currently priced at $59.95 a year or a one-time fee of $159.95 a year. So, the web directory industry does not seem to be slowing down whatsoever, and this is good news for those looking to make use of the rapidly growing directory bandwagon. Picking your directory carefully could mean a world of difference to your business. If you’re interested in signing up for a web directory, check out our coupons list for exclusive discounts on top web directories. ← How to Promote Your Business – What is Local Search Marketing? It’s awesome that some people still writing about web directories. I suppose we should be happy the Google shut down, indirectly, spam directories.